Kinnek loves trade shows! They provide an opportunity for us to meet both our customers and suppliers and more improtantly, hear about the issues that matter to them the most. Like any small business, we also find that putting a face to a name helps strengthen those relationships. Unified Wine Symposium: This January 26-28, Kinnek will be sponsoring and attending the Unified Symposium in Sacramento, the largest wine and grape industry trade show in North America. Winery equipment and supplies represent a $9B+ market (source: IBIS World 2016 forecast), which is expected to grow 3.8% p.a. over the next 5 years. Kinnek will be supporting the 13k+ person conference with branded conference items like tote bags, which we think will be both practical and fun - just like Kinnek! 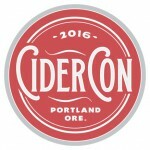 CiderCon: February 2-5, we’ll be attending Portland's CiderCon, a trade show for the fast-growing cider industry (IBIS cites 51% annual growth over the last 5 years). Kinnek is the perfect marketplace for this craft-orientated, specialist field, and we're looking forward to meeting everyone and hearing their cider stories! Additionally, we'll be bringing those insights to other craft beverage makers and beyond as we meet with the small business community locally in Portland, as well. Finally, CiderCon will be the perfect venue for our team to continue strengthening connections with cider makers and suppliers from across the country, too. On that note, we’ll be hosting our first-ever Small Business Social for customers and suppliers in the area. It’ll give us a chance to meet - and thank! - our community out there, as well as sharing more about our marketplace with those new to Kinnek. 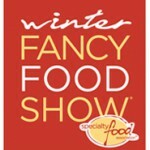 Next week, Kinnek will be traveling to San Francisco for the Winter Fancy Food Show featuring 1,400+ exhibitors in the specialty food space. We’ll be talking food production, business needs, purchasing pain-points and beyond. 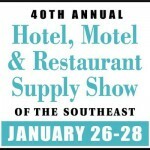 In late January, Kinnek will be visiting the Hotel, Motel & Restaurant Supply Show of the Southeast in Myrtle Beach, SC. By then, we should be seasoned experts in the hospitality industry! As we continue to grow our mission to serve the purchasing needs of small-medium sized businesses (SMBs) across North America, our team will be traveling far & wide to meet you! Their goal will be to investigate the top trends and issues for SMBs in your particular industry and community, as well. We’re looking forward to hearing from small business owners everywhere in order to craft a better purchasing experience for you all! Better yet, even if you’re not attending one of the trade shows listed above, we still want to hear from you! Email us at questions@kinnek.com. You can also follow our social feeds (accessible at the top of this post) to discuss or interact with live coverage of these events. Subscribe to our blog to get the latest Kinnek news.